I read this article and found it very interesting, thought it might be something for you. The article is called What Is Cryptocurrency? 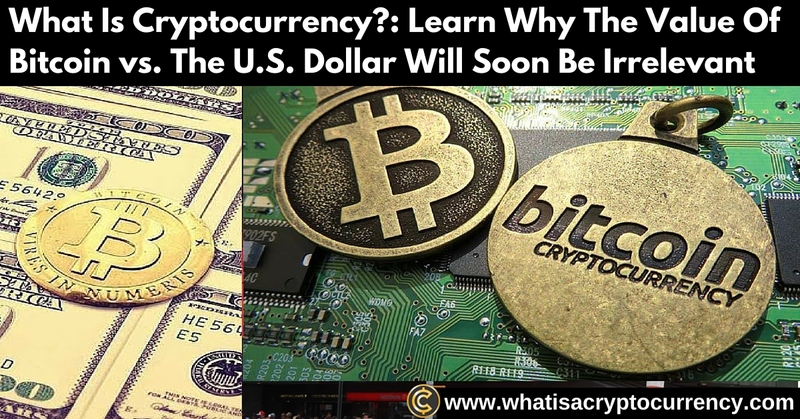 The Value Of Bitcoin vs The Dollar and is located at https://www.whatisacryptocurrency.com/what-is-cryptocurrency/. What is Cryptocurrency? In our mission to answer your question we bring you a popular topic of debate. 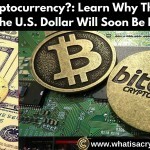 The value of Bitcoin versus the U.S. Dollar! Because the dollar is the system of trade we are so used to and cling to on a daily basis, we tend to look at the value of other things of value in ‘dollars’. But the interesting thing about Bitcoin and cryptocurrency in general is that the value of Bitcoin versus the dollar in the long term will not matter, as it has a value that is derived much differently than that of our limited fiat currencies. I will provide several reasons why that the Bitcoin value versus the “Almighty Dollar” is actually of little significance beyond day to day trading or liquidation of the currency by holders. I will explain to you why that this value connection is otherwise rather irrelevant now and will be completely irrelevant in the future to come. 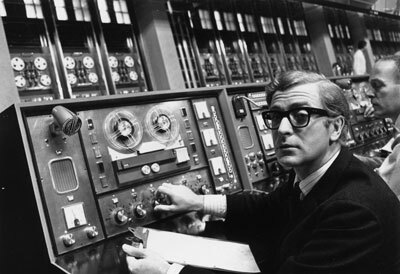 In the beginning of the internet, hardly anyone knew what it was… except for people like this guy! This first reason is one that can be learned from the lessons taught in history about decentralized networks versus centralized networks. One of the former (centralized) is the form of the system we use today, the other… literally gives you a glimpse into the future of money! Just twenty years ago the internet was just picking up momentum, with the first people accessing it through phone lines and the classically slow AOL service. The internet was in a similar stage of development as cryptocurrency is in today. 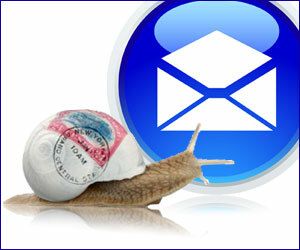 The internet basically replaced the older communication methods such as typewriters and traditional snail mail. At first this transition was slow, but before long it picked up speed and now virtually everyone uses the internet and email. These older means of communication weren’t wholly instantly replaced by any means, but over time they were basically made obsolete. If you look a few years further into the growth of the internet, you can also see how the news organizations (former paper based communication) adopted the online sphere for delivery of their news product. The internet revolution in turn caused the size of newspapers to shrink and for the demand of the physical paper to also decrease, as more people started accessing the news online. In the same way that people are wondering “What is cryptocurrency?”, “what is bitcoin?”… people in the beginning of the internet era were wondering “what is email” and “what is the internet”. So you have some serious parallels between these two technological megatrends in our society. If you look at it this way, you can see that Bitcoin is following the internets lead. Bitcoin has basically built it’s own blockchain technology on top of the existing network technology we have come to know and depend on for communications: “the internet”. Bitcoin has a growing influence on the monetary systems around the globe and is revolutionizing global commerce as we speak. The level of influence that Bitcoin and cryptocurrency has on monetary systems and global commerce is similar in depth to the power of the internet and how it revolutionized the way we communicate instantly / globally. The potential of cryptocurrency and Bitcoin is only just beginning. And what an incredible beginning it has been! The power and value of Bitcoin / cryptocurrency has scared some sovereign governments (i.e. Russia, Ecuador, Bolivia) to actually ban it outright, in practice or through de facto capital controls. While at the same time other countries like the United States, Australia, United Kingdom and many more have embraced a higher understanding and positive position in regard to cryptocurrency. Recently the Australian Senate deemed that cryptocurrency be treated legally as all other world currency. And then just several days later the United States Commodity Futures Trading Commission announced classification of cryptocurrency as a commodity. These extremely exciting developments in the world of Bitcoin & cryptocurrency have caused many people from around the world to start asking the question: What is a cryptocurrency? Just because our mindset is so ingrained to value everything around us in ‘dollars’, the value of Bitcoin is most often compared to the world’s reserve currency. The U.S. Dollar also happens to be the most liquid, distributed and highly established currency in all of history. 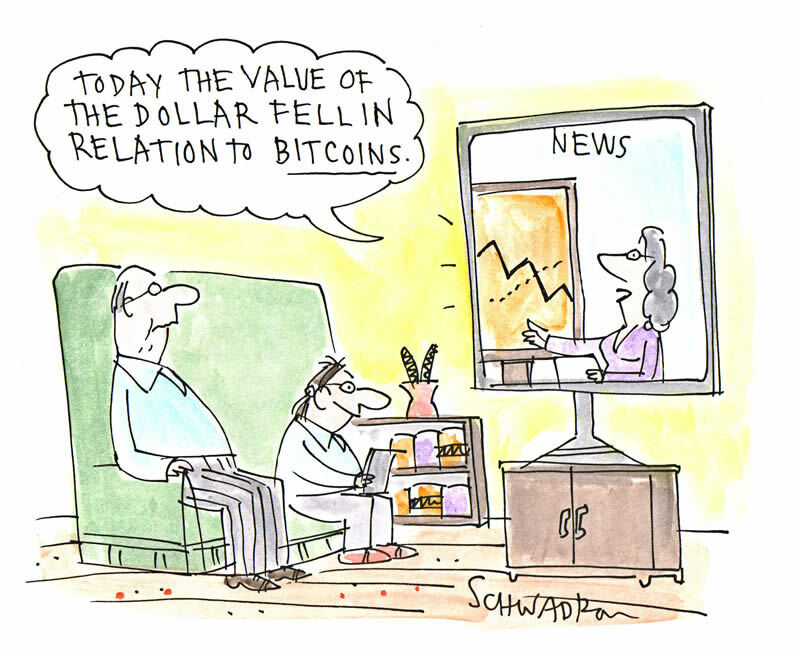 We also tend to look at both the dollar and bitcoin as ‘currencies’. While with the dollar that is correct, bitcoin is actually much more than that. Functionality as a currency is simply one of the useful applications of Bitcoin. An important difference between Bitcoin and the US Dollar is the fact that the amount of Bitcoins that will ever be produced is capped at 20 million. 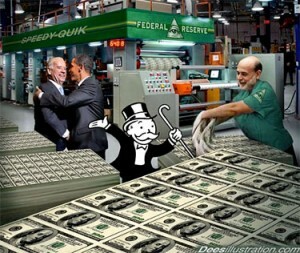 With the dollar, the federal reserve can continuously print more money and debase the value of the currency. This means that over time, thanks to our country’s monetary policy, you earn the same amount of money but your buying power goes down as the price index of everyday items increases. Bitcoin and cryptocurrency is not affected by any such ‘central banking’ monetary policies, and that is a HUGE advantage that makes it a great safe haven for our hard earned money. Bitcoin is fully decentralized and is not bound or controlled by any regional territories or powers. If your countries economy is faltering and goes through a currency devaluation similar to what happened in Greece, whatever value you have stored in cryptocurrency will be safe. If anything the value will absolutely increase in proportion to the value of the fiat currency issued by your government banking system. On the other side of the coin, we have the “The Almighty U.S. Dollar”. Dollars are like the old celebrities from past generations, they had their in the limelight and once dominated in their niche, but are constantly fading into history. The same is the case for the dollar, as its power and influence wanes. The biggest advantage of the dollar in our current market environment is that it can easily provide liquidity. It sadly has also been historically used to force political will on smaller countries by gunpoint. Take Muammar Gaddafi for example. The U.S. Dollar is teetering towards a collapse of epic scale, and many of the financial experts out there have been warning about this for some time now. Of course many people will be asleep at the wheel all the way up until it’s too late to take action to protect themselves from the shake up and ensuing devaluation. The ‘Great Recession’ of 2008-2009 was just a warm up for what is to come. Historically any currency that has held a ‘World Reserve Currency’ status has done so on average for 65-70 years. The U.S. Dollar has held the reigns of ‘world reserve currency’ for over 70 years now, and the main thing keeping it in business is the sphere of U.S. military influence globally with over 100 countries occupied by military bases. But signs are pointing to change. An important nail in the coffin to the dollar’s world reserve currency status was this year’s formation of the BRICS Development Bank. 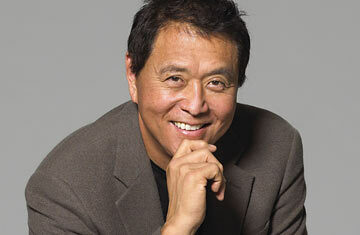 It was a major regulatory step in the advancement of the demise of the dollar as an internationally relevant currency. This bank is formed by the BRICS nations, which include; Brazil, Russia, India, China & South Africa. The BRICS nations control 40% of the world’s currency reserves and human population. Back in July of this year, the BRICS nations basically drew the line when they announced that they will trade directly with each other without using the US dollar. The United States was silent in response to this announcement. There was not much they could do to stop this. Even previous to this new and official banking arrangement, for many years these countries have been conducting ‘bilateral trade agreements‘ which are basically international trade details that are settled without exchanging the sovereign currency for US Dollars. To release this new world bank in order to facilitate and make their trading more efficient, was just the next reasonable evolution of their system. This was done because the dollar has little to no intrinsic value, and the Federal Reserve keeps implementing ‘Quantitative Easing’ with the money supply (that basically means the Fed keeps printing more money and debasing the value of the dollar.) 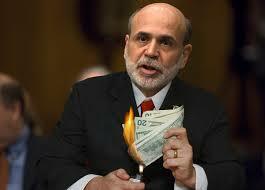 And the Federal Reserve also has failed to raise interest rates out of fear of economic collapse. The Federal Reserve bank is on monetary life support and as much as official US reports continue to paint a pretty picture by inflating or deflating certain numbers, the rest of the world is abandoning the dollar. The government of course does not want you or the masses to know this until it’s too late. That is why you will always see the mainstream media & news report on the drop in the value of Bitcoin rather than it’s more common rise in value. It’s interesting how things can so often just be a matter of perception. And now more than ever it’s really important where you are getting your information from! Do you think that the US government has got its house in order since 2008? We all know the answer to that one. National Debt over Gross Domestic Product has only continued to rise to record heights and we are truly currently at a tipping point in history. So does this mean we will just stop using the dollar in the US all of a sudden? Well no, not instantly. Some people still use typewriters and all of us still use regular mail. There are still people out there who read the actual physical newspaper. People will continue using the dollar until it completely collapses into zero value. And it’s to be looked at as ‘not if’ but ‘when’ the dollar collapses and reduces to it’s true value. The value of Bitcoin and cryptocurrency will have an inverse market value relationship. This means that as the purchasing power of the dollar goes down, the value of the Bitcoin versus the dollar will go up proportionally. As the dollar continues to struggle moving forward, Bitcoin and cryptocurrencies will march forward into the future of money as we know it. So this is why that the value of Bitcoin against the dollar is virtually irrelevant and soon to be fundamentally irrelevant globally. One thing to understand is that Bitcoin and cryptocurrencies were not designed to replace the world reserve currency. Bitcoin industry leaders are of the stance that the value of Bitcoin versus the dollar does not matter since that it is not designed to be a ‘world reserve currency’. 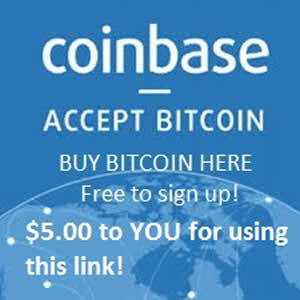 In the first 6 years of it’s life as a currency Bitcoin has paved the way for the acceptance of cryptocurrency in everyday commerce and as a revolutionary way to transfer money from peer to peer globally for free. Now over the next five years which currency do you see not only lasting, but growing in popularity and value? Bitcoin or the US Dollar? With a growing international community shunning it’s use by practicing bilateral trade and implementing it’s own world bank (the BRICS bank), the overprinting of the money supply by the Federal Reserve, and with cryptocurrency beating it out through attrition (smart people diversifying out of the dollar)… I know where I’m placing my bets. And as things continue to develop on the global stage, you will likely be thinking the same if you haven’t already figured it out at this point. Boom! Thanks for answering the major question What is Cryptocurrency? Major Value! Much appreciated! Thank you for dropping by and leaving your feedback my friend, it is much appreciated! Of course, it’s always my pleasure to help you learn! Wow…what a thorough post on Cryptocurrency. That’s scary about the dollar eventually being phased out and you can see that right now by how volatile the markets are. Yes, for anyone with their eyes open there are some very unsettling things happening in the markets that have some pretty broad implications for the future… China’s recent devaluation for example (and it’s not likely to be the last, they are looking at another one). There has never been a more prudent time to get educated about and take action with cryptocurrency, in order to prepare for the coming storm. Thank you for enjoying my post and leaving your feedback!